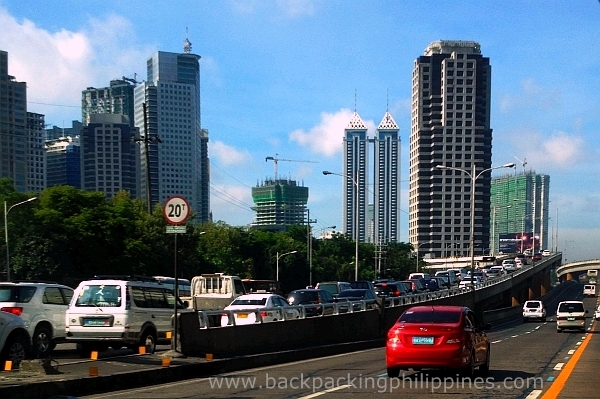 Backpacking Philippines: MMDA Number Coding To Use 4 Numbers to Solve Manila Traffic Woes? MMDA Number Coding To Use 4 Numbers to Solve Manila Traffic Woes? In the never ending fight to solve Metro Manila traffic problem, MMDA Chairman Francis Tolentino proposes a new MMDA Number Coding system to include four numbers instead of the current two numbers of car plate last digits where all vehicles will be banned from the street two times a week. The new MMDA number coding system simply means an estimated reduction of 40% vehicles during the number coding time of 7am to 10am and 3pm to 7pm from the present 20% in the current system using two numbers. Question: will this apply to public utility buses and jeepneys? Tutubi thinks it should as they're really too many, blame the LTFRB for not doing their jobs. They just issue/renew franchises even if they're not really needed. They can't even enforce the phasing out of old, dilapidated buses. MMDA chairman is laudable for really thinking and trying hard to solve the traffic problem but it's only a band-aid solution. There are many other ways to solve this. How about other government agencies? Heavy traffic on EDSA north-bound in the evening rush hour also ends in Ortigas Center due to road constriction from 5 lanes to 2.5 lanes (Ortigas Ibabaw). LTO/LTFRB: remove all colorum vehicles, implement RFID, other electronic tagging or even automatic plate number recognition of all public utility vehicles to easily identify colorum buses and jeepneys, remove redundant jeepney routes (like the Munoz-Pantranco route in Quezon City), allow car registration only upon proof of garage/parking area, rationalize the EDSA Bus routes (note: all those buses pass by the segment of East Avenue to Ayala Avenue) and jeepney routes (e.g. Espana in Manila receives all jeepneys from Quezon City, Ortigas Avenue all jeepneys to EDSA Central from Rizal) and lastly, the SINGLE MOST EFFECTIVE WAY TO MINIMIZE TRAFFIC IN THE WHOLE COUNTRY is to force all routes to form a single company or transport cooperative and eliminate those jeepneys and buses jostling for position, too much waiting at every street corner. Drivers will behave once they don't have to hurry to catch their boundary and transport companies will not let loose all buses even if they're not even half-full during rush hours. BIR: tax all jeepney operators, get the data from LTFRB. How many of them pay taxes? COMMUTERS: 'WAG PASAWAY! Sumakay sa tamang sakayan, bumaba sa tamang babaan, no jaywalking din! You have posted a highly informative writing. I have learnt a lot from here. Can you post another one like this?